GAA: The Ulster Council banned Crossmaglen players Paddy Moley and Paddy McKeown for their part in the mass melee in the Ulster Club Championship final replay [against Bellaghy] in December. 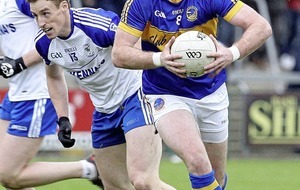 The suspensions passed were effective from the date on which the two last played, making them eligible for selection for the All-Ireland semi-final against Kerry champions Laune Rangers on February 23. Moley and McKeown both played in the Armagh U21 county championship final before Christmas. Cross’ manager Joe Kernan received a caution from the Ulster Council as did club chairman Eddie Hughes, player John McEntee, and official Donal McKenna. 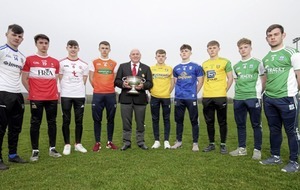 Dugout official Oliver McEntee, however, will not be able to take part in the semi-final or indeed the final on St Patrick’s Day if Cross overcome Laune Rangers. He was banned for two months. Kernan commented: We are sorry for our part in the brawl that day and thankfully we were able to shake hands with Bellaghy afterwards. There is absolutely no animosity between the clubs. Meanwhile, Bellaghy secretary Seamus Boorman said his club will accept the Ulster Council’s decision to fine the Derry champions £300 and suspend Damien Cassidy, Danny Quinn and Ciaran McNally. 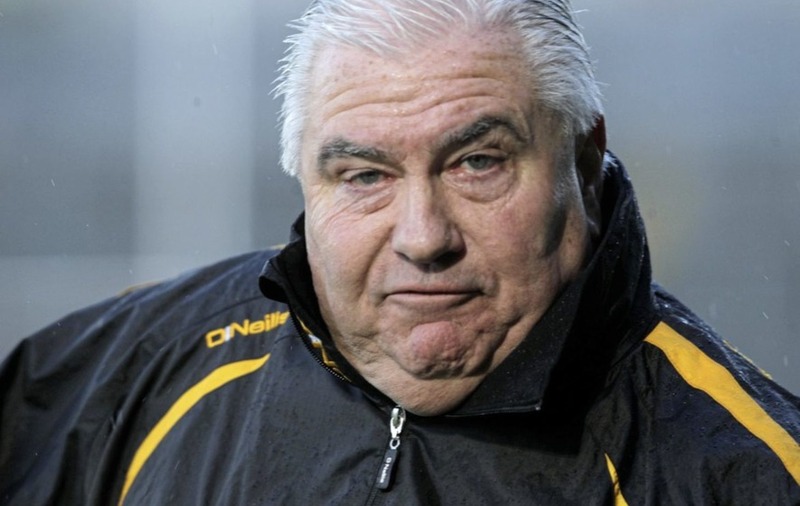 Boorman added that the relationship between Bellaghy and Crossmaglen was “100 per cent.” “Generally we decline from commenting on disciplinary issues but we accept what the Ulster Council has handed down to us and we will get on with playing football. GAA: Ciaran Hamill will return to intercounty football with Antrim on Sunday. The centre-half back goes into John Morrison’s first 15 in place of Damien Hardy as the Saffron’s aim to knock the wind out of Roscommon’s Division Three promotional hopes and put Antrim back in the Division Two reckoning. Hamill has been out of the game for more than three years. He was ruled out by injury and family commitments. But now the solid 31-year-old Glenavy defender joins his brother Ronan in the Antrim side. Antrim: B Devlin; M Mulholland, P Grattan, E McCorry; D McPeake, C Hamill, G Adams; E Quinn, C O’Neill; K Madden, A Craig, C McCabe; T Connolly, R Hamill, P Derby. Soccer: Derry City are taking the National League of Ireland to arbitration over the disciplinary measures imposed on manager Felix Healy. Healy was suspended from the playing area, including the dug-out, for 11 months, and fined £500 for his part in a fracas with Bohemians’ James Coll in a game at Brandywell in December. Coll was fined £20 and suspended for two games. Boxing: The Waterfront Hall will not host Belfast Fight Night bills in the immediate future. After Matchroom boxing officials investigated the possibility of a move from the traditional Ulster Hall venue to the new arena on Belfast’s Laganside, it is expected that Fight Night will remain in the city centre for some time. Matchroom’s John Wischhusen said they had briefly looked at the Waterfront Hall to host Darren Corbett’s next defence of his Irish cruiserweight crown and possible Irish title fights for light-welterweight Eamon Magee and brother Noel, who could be lined up against Corbett. It is thought the cost of hiring the Waterfront Hall for the event would set Matchroom boss Barry Hearn back around £5,000. The Ulster Hall costs less than £1,500 for hosting Belfast fight nights.